Who is responsible for persecuted people who either are or desperately want to be, one the move? This is not a theoretical question, it is one that leaders around the world increasingly have to answer. At the time we developed this resource there were approximately 68.5 million displaced people in the world, with a new person joining those growing numbers every two seconds. Half of the newly displaced are under 18 years old, children. Despite the growing number of displaced people, many leaders have said, in one way or another, that their countries cannot handle, or do not want to take in refugees. At the same time, we have seen remarkable gestures from individuals, groups, and even some politicians to reach out to welcome, protect, and defend vulnerable refugees. Debates about the proper response to migrants are among the most important civic issues of our time. How we answer them is a matter of life or death, with implications about the kind of communities we hope to create and sustain. We created this resource to help us step back from often heated debates about current events by encouraging students to develop an informed historical perspective on the choices and dilemmas that all of us face today. In the discussion about responsibility towards refugees today, particularly child refugees, we believe it would be helpful to know how people in the past thought about these issues. What choices did they make? Why did they make those choices? What were the various perspectives people brought to the issues? And, what were the options that people had at the time? We believe that it is very important to help young people develop historical empathy, that is to be able to understand the choices made by people in the past within the contexts of the time and place in which they lived. However, this does not mean that we are encouraging students to be value-free. While we do not know everything that would have happened if the U.S. had passed the Wagner-Rogers act, we can reasonably hypothesize about the impact of not passing the bill. Thousands of Jewish children were trapped in Europe as the Nazis expanded their territorial gains and began the mass murder of Jews and others that we now know as the Holocaust. Here we might come to some ethical judgment, not neccesarily to apply to those in the past, but we might apply our understanding of the decisions made in the past, to the decisions we face today. In the aftermath of World War II, Europe, the United States, and their allies developed policies for refugees based on the assumption that whatever caused them to flee their homes would be resolved eventually. “Civilized nations could promise ‘non-refoulement,’ the right not to be returned to a place of violence or persecution, because the promise was only temporary. These architectures now are misaligned with the new conditions. Devastated environments in states with weak institutional capacities hold little promise for a safe return. Millions are also fleeing existential threats but may not meet the anachronistic standards required for formal refugee status. The twenty-first-century map suggests new forms of migration that do not fit existing policy frameworks. The architectures in place to protect the forcibly displaced, refugees, and asylum seekers are now out of date and out of touch with the current catastrophic kinetics of forced migration. First, most forcibly displaced migrants today linger as internally displaced in their own countries or in camps in neighboring states with weak institutions, often in subhuman conditions with few protections. Indeed, millions of human beings now are “lost in transit”. Second, protracted conflicts are sending millions fleeing with no expectation of returning. In 2014, in thirty-three conflicts globally, the average length of exile was twenty-five years. The conflicts in the countries generating the greatest numbers of the forcibly displaced, such as war and terror in Syria, Afghanistan, and Somalia, have endured longer than World War I and World War II. Third, the architectures in place are generally blind to the developmental needs of children—a topic of grave urgency. Even when temporary protection is possible or desirable, children in flight need more than a safe haven. They need a place to grow up. We recognize that the past is not the present and comparisons between past and present should not be made loosely. Holocaust historian, and author of Flight from the Reich: Refugee Jews 1933-1946, Deborah Dwork explained that the past does not provide a road map, but it does provide her a compass that shapes her thinking today. We hope this resource can help your students develop their own moral compasses as well. What are the rights of those being persecuted to move somewhere safe? Who is responsible for those being persecuted? How should nations decide who can settle and who cannot? To have students reflect on moral and ethical responses to refugees across time. To have students learn about a particular episode in the history of the Holocaust where some politicians tried to challenge indifference and prejudice. 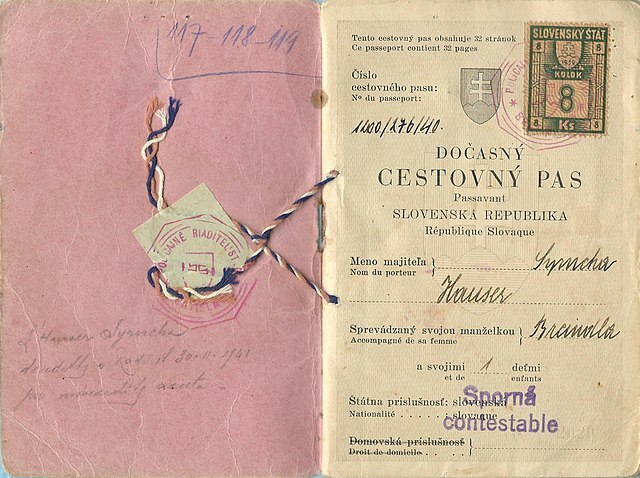 To understand the forces that shaped the way people thought about their responsibility toward refugees in the months before WWII officially broke out in Europe. To practice the historical thinking skills outlined above. To develop a historical perspective on the choices people have in response to refugee issues today. We would begin the lesson by introducing the essential questions for the lesson. Consider using the Think-Pair-Share thinking routine to structure thoughtful reflection on the underlying questions at the heart of this resource. Examining the debate over Wagner-Rogers can enrich the conversation, instead of prolonged discussion about what might feel abstract questions to your students. Historical sources provide rich detail and an example of what these questions look like in a real-life context. This too, helps us ground the conversation by helping students understand what was at stake in the debate about refugees in the years just before WWII. Follow this link to a short film and excerpts from the U.S. Holocaust Memorial Museum Exhibition Americans and the Holocaust focusing on the refugee crisis of 1938. If you have additional time, consider exploring the next for sections of the exhibition which illuminate the challenges refugees faced fleeing Nazi terror and attitudes towards refugees within the United States. There are many ways to check for students’ understanding and create opportunities to reflect on the moral and ethical implications of the material presented. One entry point is the connect-extend-challenge thinking routine from Project Zero. Immigration to the United States 1933-1941 from the U.S. Holocaust Memorial Museum. Introduce the sources from the Wagner-Rogers debate by explaining that in the months before Germany invaded Poland and WWII began, many Jews were trying to flee Nazi Germany but they had very few options. 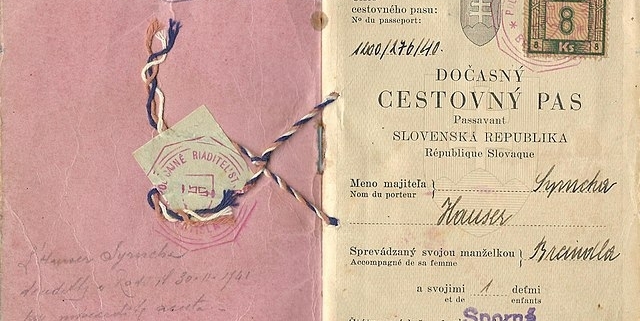 Most countries refused to take in Jewish refugees. It was within this context that the Wagner-Rogers bill was introduced. Have students read the text, either individually or in a whole class. The Sentence-Word-Phrase Project Zero thinking routine provides a simple structure for students to reflect on what they have just read. Based on the text, how do you think the author or speaker would answer the essential questions? What is their position on Wagner-Rogers? How do they explain their position? How does their position compare to other voices within this collection? Inform students that Congress decided not to take any action on the bill. Ask students to reflect on the failure of the bill to gain support. Why don’t they think the bill was passed? What prevented it from becoming law? These two Project Zero thinking routines might be helpful as a way to structure student reflection. Moving from analysis to your own students’ personal responses, what struck them in the debate? How do the responses they read make them feel? If that feels too open-ended, the Question Starts thinking routine can be a helpful way to allow students time to reflect on their own or in small groups. Encourage a reflective discussion with students about the relationship of what they have learned about the past to the present. Invite students to reflect on the ways that what they have learned about the Wagner-Rogers debate influences how they think about refugee issues today and encoursge them to research present-day stories of refugees. What is similar to the situation at the time of Wagner-Rogers? What is different? What do they think is the right thing to do in our current context? You might consider introducing this quotation from Marcelo Suárez-Orozco to help students reflect on mass migration in 2019. We think it can be helpful to synthesize these discussions by returning to the essential questions we introduced at the beginning of the lesson. In small, or large groups, give students an opportunity to discuss these questions with their peers.